Moses had two wives, following the pattern of his ruler-priest father and forefathers. One wife was Kushite (Numbers 12). This wife would have been his half-sister. Her designation as "Kushite" means that Moses' father married a Kushite. The mother of Korah and Moses' half-sister wife was Ishar, a descendent of Seir. Moses' mother was Jochebed. Korah's mother was Ishar, but the two men had the same father, Amram. Amram had two wives according to the pattern of ruler-priests among his people. Moses' cousin wife was Zipporah, the daughter of a kinsman Jethro (Yetro). He was a Horite or Habiru (Hebrew) priest living in Midian. Habiru were widely dispersed in the ancient world. Moses met Zipporah at a well where she was drawing water for her father’s livestock. Priests maintained shrines near wells, natural springs or along the banks of rivers. 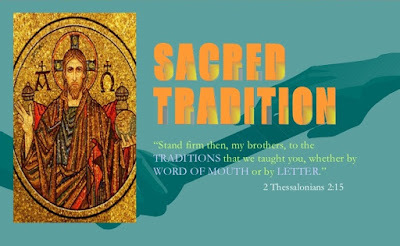 As a priest's daughter, Zipporah would have been familiar with animal sacrifices and with circumcision, but she would not have performed these nor would she have been present when they were performed. This is why her circumcision of her first-born son is remarkable. It also suggests that Moses was not qualified to circumcise his son. Apparently, Amram's first-born sons were Korah and Aaron, both priests. They would have been qualified to do it, but were not present when the necessity arose. The necessity to circumcise those born in the wilderness required the production of flint knives. Flint was the first mineral used to make tools. Flint or obsidian have edges sharper than modern surgical steel. 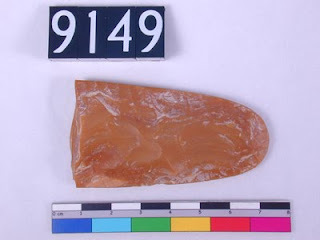 Flint workshops have been found throughout the Negev, suggesting that even after the production of iron tools, the flint knife was preferred for circumcision in honor of an ancient tradition among Abraham's Horite people. The largest flint knives, dating to about 3000 B.C., were produced in Egypt and were found at Hierakonpolis (Nekhen) was a Horite shrine city dedicated to Horus, who was called the "son" of the Creator Re. Votive offerings at the temple of Horus were gigantic,up to ten times larger than the normal mace heads and stone bowls found elsewhere. These objects are found only at Nekhen, suggesting that the 4000 B.C. temple there was extremely prestigious. Nekhen is the site of the most ancient temple and city in Egypt. By 3500 BC, it was a city of many neighborhoods, industries and privates homes, extending over 3 miles along the Nile. Masks, pottery, graves and tombs with reliefs and paintings have been found there. Horite priests placed invocations to Horus at the summit as the sun came over the eastern horizon. At Nekhen archaeologists have discovered a 3000 B.C. life-sized statue of a Horite priest and a 2300 B.C. 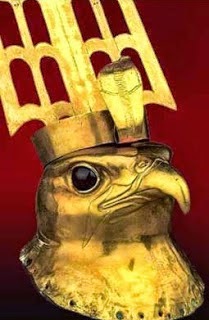 golden hawk head of Horus. Anthropologically, Nekhen is a significant site because here we find all the evidences of an advanced civilization in the Nile Valley before the emergence of Egypt. These features include city building, written communication, hierarchical social structure, ritual burial, ship building, river trade, and complex religious expressions. Nekhen was an important city of James Henry Breasted's "Fertile Crescent."